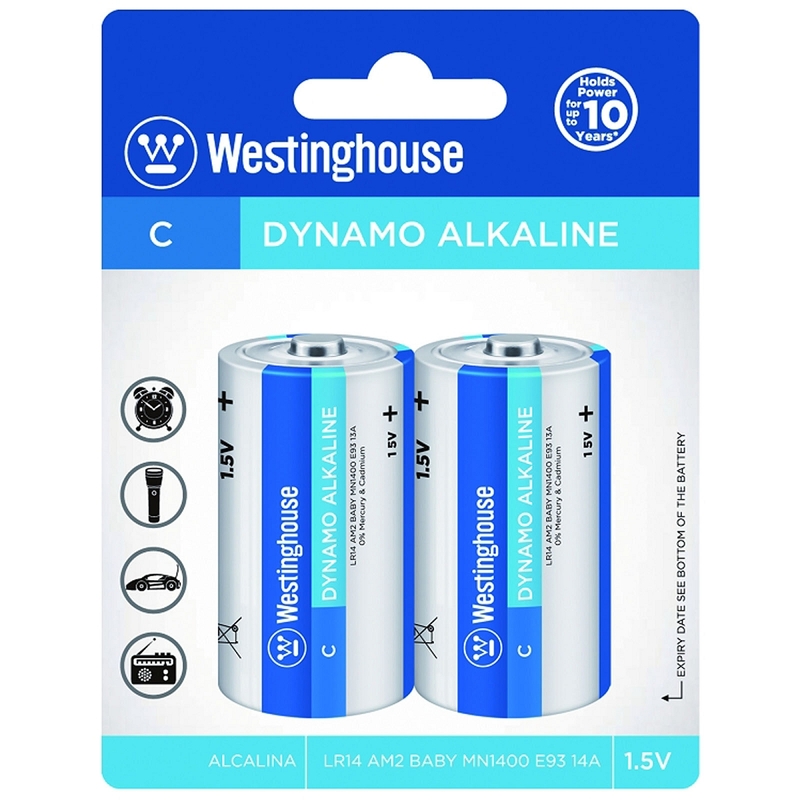 The 2-pack of Westinghouse Dynamo Alkaline C Batteries is good for everyday use in a wide variety of devices. This pack of Westinghouse Dynamo Alkaline Batteries contains two batteries, and it is easy to store when not in use. These C alkaline batteries have a shelf-life of ten years, so feel free to stock up and have these batteries on hand whenever you need them.